Construction of the Poowong, Loch and Nyora Sewerage Scheme continues to progress quickly – the reticulation pipework in all three towns is practically complete with some road and rail crossings still outstanding. Construction of the transfer main linking Nyora to the Lang Lang Water Recycling Plant has begun with over 2 kilometres of pipeline installed. 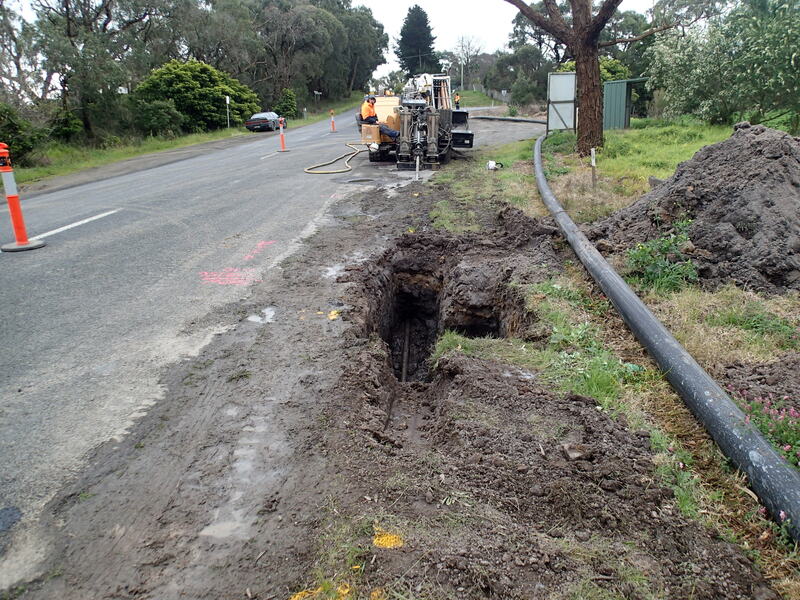 Property owners in Nyora have been mailed a Homeowners Connection Kit; these kits detail the process for connection to the new sewer system. The first step to connection is to book an onsite consultation to establish the pump unit and collection tank location on your property. To book, simply call the Connections Team on 1800 728 256. Connections to the sewer system are planned to begin in Nyora from November with further connections to follow for Poowong and Loch over summer and into autumn 2015. Customers and residents wishing to discuss any aspects of the scheme can contact South Gippsland Water on 1300 851 636.